I liked reading your letter on God and receiving his message through understanding of God´s manner of speaking. I have been reading very much and watching Daystar programs considerably. All of these things are interesting but the more I read the Bible and meditate, pray, and listen for that voice of God— the farther and farther from understanding anything it seems. If I continue to understand less and less as there is so much contradiction, the natural process would be to become an athiest. Something I am not hoping for. But my simple and nieve question is– If God can do anything, why can´t he communicate with us? After all that silly business of speaking in tongues is accepted as real and I think is nonsense. Is that God speaking to us? I wish I could find some message that felt like it really represented our relation to God, if there is indeed a relation. I have written about this in previous articles throughout the years. Most notably Discerning between God Speaking and our Own Desires, and Receiving and Recognizing Answers to Prayers. In these articles, I address various ways to understand God and how He has spoken to me. I feel that it would be beneficial for the reader to see other people’s responses though rather than just mine. Take some time to pray and ask God to help this reader before you respond. I have faith it will help him. Everyone speaks their own language. For me, I speak my own language… a little music, a little logic, a little emotions, a little science, all wrapped together. It works for me, and that’s the language that makes the most sense to me. God speaks to us IN OUR OWN LANGUAGE. So the most important thing you need to find out is… what is your language? Because God’s been using that language to speak to you ever since you were young. The chapter goes on to talk about a second language… the tongue of angels, fire, and the Holy Ghost. But that comes from the gift of the Holy Ghost. Find out what your language is and God can speak to you with it. I’ve never seen you on the blog yet, but you’re more than welcome to come by anytime. Thanks for the excellent advice and scripture! Thanks! I’m a musician and student, and I run a blog for LDS musicians. Thanks for the note. Please don’t give up on God! Psalms 14:1 says “The fool says in his heart, ‘There is no God.’” You don’t want to be a fool! You want to be blessed by God—in this life and in the next. You said, “I have been reading very much and watching Daystar programs considerably.” That’s great! That’s food for your spirit. You also said, “I read the Bible and meditate, pray, and listen for that voice of God.” That’s even better! The Bible is an anchor, the ultimate answer-book when the devil hits you with confusion. There will always be disagreements between Christians as long as we are imperfect. We are not perfect, but we are forgiven because we love Jesus Christ. You said that you seem to be drifting “farther and farther from understanding anything.” I don’t know why you feel this way without talking to you more. Perhaps you have not yet made the decision to surrender to Jesus. I recommend phone numbers that Daystar has for you to call. You said, “there is so much contradiction.” This is where ama and I are uniquely qualified to help you. Ama & I don’t agree on everything, but we don’t let our disagreements get in the way of our relationship. I know he’s my brother in the Lord because he has made Jesus his Lord, he has turned away from the world to follow the Lord Jesus Christ. Jesus is the precious Son of the only living God, who suffered and died in our place on the cross so that we could come into God’s presence now and forever! You said, “Why can´t God communicate with us?” If you have decided to follow Jesus as ama and I have done, you will have a confidence in your heart that you are accepted by God, and that he is living in you. That confidence is the voice of God. So you do hear the voice of God if you have done that. I have the gift of speaking in tongues. It is another language. This may sound strange, but when I speak it, I don’t know what I am saying, but I know it’s of God because if I speak in this spiritual language for some time, I get increasingly peaceful and happy. My love for others increases, and so on. See 1 Corinthians 12 through 14. But don’t feel like you have to understand that now if you’re not ready. God is very patient. The Bible says you will find God if you seek him. It’s a promise, and God always keeps his promises! I’ll pray for you. God bless you. Your friend is on the right path in my estimation. I hope he will continue. Fourth, laying on of hands to receive the gift of the Holy Ghost. I suggest he meet with the missionaries from the LDS church. Why do you search the Scriptures in the first place? 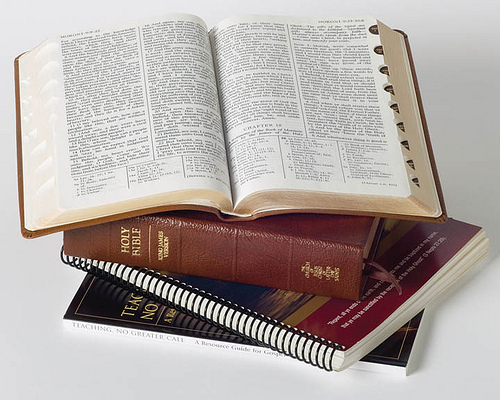 “You search the Scriptures, for in them you have eternal life. if you know Jesus, you will know the truth and the truth will set you free. Don’t seek to “know God” apart from Jesus. and frustrate you (which is your current situation). I hope you’ll let us know how your discouraged friend is getting along. I am concerned about him. Thanks for your prayers and for checking back in. I haven’t heard from him yet since posting this. I’ll let you know once I find out. I’d suggest you stop reading that version of the Bible you are reading and read an accurate one. “Search the Scriptures, for in them you THINK you have eternal life…” Correct version. He was making a cynical statement in the middle. If we believe in the Lord Jesus we will do the things he says. This includes coming to know our Heavenly Father. DougT-what would you consider correct translations of the Bible-the KJV and the Joseph Smith Inspired Translation? I would assume you mean these versions. DougT is right—both the KJV and the NIV say, “think,” in John 5:39. Jesus was talking to the unbelieving Jews who studied the Scriptures but didn’t recognize Jesus for who he was. They stumbled over the foundation stone. But Ezra’s point is still true that the way to the Father is through Jesus alone. The LDS has added to the priesthood as it is defined in the New Testament by requiring people to have hands laid on them and be baptized in water by the proper authorities—which are found only in the LDS. This builds a wall between Mormon Christians and non-Mormon Christians. I appreciate all Joseph Smith did. But shouldn’t we apply the James 1:5 principle to everything he said? What harm would it do to pray about EVERYTHING he taught? If we don’t we could develop a stream of the disease that the unbelieving Jews had and study the Scriptures but not recognize the truth—I mean the whole truth. Mormons have the truth but not the whole truth. I don’t either. To my Mormon brothers and sisters: I thank God for you, but won’t you consider taking my extended hand in fellowship? “If I love you more, will you love me less?” (2 Corinthians 12:15). Ama’s friend may be hanging in the balance (post at the top). He may be waiting for us to agree so he can get rid of his confusion and not go back to atheism! I was referring to any version that is more correct than what he is reading. I certainly do pray about all the things that any person says – including Joseph Smith. He disagrees with himself as his knowledge became greater. Which we all should find ourselves doing. As we learn more we become more aware of how little we really know. So this isn’t necessarily a bad thing. But God speaks to us in many ways. It is a case of striving until we recognise these ways. I checked out your website briefly . . . looked interesting, so I’ll check it again. You all have a fantastic day in our Lord. I think every one who strives to follow Christ wonders from time to time if they are truly hearing and interpreting His word correctly. I think that we are in serious trouble the day we stop being concerned about that. So keep studying, praying and meditating. I know all too well that it can be difficult to know when God is speaking to you. And even harder to hold to your conviction when you feel that God has spoken to you. It’s easy to doubt what you felt yesterday, or last week or last year, and convince yourself that it couldn’t have come from God. Don’t ever feel like you’re the only one who feels this way. 23 Meekness temperance; against such there is now law. When you feel peace, love, joy, etc. you can know with a surety that God is speaking to you. Someone once told me that there are two sure ways to get an answer to a prayer every time. 1. Pray and ask God to let you know that He loves you. 2. Pray and ask God what He would have you change in your life to grow closer to Him. I promise you that the Lord loves you. I know without a shadow of a doubt that He love me. And if He can love me, I promise that He loves you. Jeffery Holland, an Apostle of the Lord once said that living the gospel is not easy because SALVATION IS NOT A CHEAP EXPERIENCE. He goes on to say, “How can we expect it to be easy for us when it was never ever easy for Him.” The Son of God himself fell on his face and plead with his Father to let the cup pass from him. And so we are expected to toil and sacrifice and suffer to build a deep relationship with Him. It may sound cliche, but nothing good ever came for free. Living the gospel requires lifetime of hard hard work. But I testify that it is worth it. I pray that we all keep fighting the good fight and striving to stay close to our Father in Heaven. Thanks for sharing your testimony and keeping things on topic. I hope it helps this gentleman out! God is all love and mercy. He puts questions in our hearts. If you want truth ask, seek and knock and the door will open. I am a prophet and been in ministry for 14 years. I don’t have any theology to share, but I do have experiences. I can testify that I have seen God through a song, through prayer, through dreams/visions, through people, through trials, through reading the Bible, and through serving others. I will only give a few examples because of time. I first saw God when I was eight years old. I was singing a song over and over again. One morning I was singing in bed and a brilliant light engulfed me and I was blinded. I called out, but my mom and sisters could not see the light. My sight returned, but I was different. I became an obedient child, insightful and capable. I used to be rebellious, constantly in trouble and accident-prone. God wanted to change my nature because there was going to be a lot of trouble ahead. Jesus teach me your Word today. Jesus teach me your Living Way. I will walk and talk each day with You. Jesus teach me the power of prayer. Precious moments with you to share. I will praise you my whole life long. Soon after, my parents had a violent divorce, my dad disappeared, my mom became mentally and physically disabled, we lacked money, we moved several times after losing our home, and so forth. Despite it all, I read the Bible every night and prayed to the God of my youth throughout each day. He guided me and put people in my life that helped me. I graduated with top honors and got through college and graduate school debt free. I traveled and saw a bit of the world. I never felt any desire to take drugs, drink, or be promiscuous. I was living a clean and abundant life; enjoying many blessings and serving others. Some of these blessings included a free education, free room and board, and free vehicle. I got through college with scholarships, grants, and a Work/Study job. But now and then I had other needs so I would pray to God. For example I prayed to God for a place to live for the start of graduate school. I immediately got a call inviting me to live with an elderly woman for free near the college I would be attending. All she wanted was someone who would drive her to places. But I didn’t have a car at the time, so I prayed to God. Immediately I got a call from my grandfather in Taiwan. He tells me that he’s giving me my mom’s old car because he’s giving her a new car. The rest is history. When I graduated and got a job, I gave back. Finally, one day I asked God what idols were in my life that I had better get rid of. I wanted more victory in my life. So God answered by sending me two dreams back to back, each with the picture of the idol or “unholy image”. The idol was a ghostly image above my head. When I awoke, I went through my morning routine and stopped dead in my tracks when I looked up and there on top of the refrigerator was the ghostly image painted on a Halloween pumpkin my husband had just brought home from a party. I took it down and smashed it in the garbage can. Halloween used to be a big thing in my family because of the tradition in our neighborhood. But we were finally freed. It was just a matter of time that we let go of Christmas and Easter, the other pagan holidays. I asked God why this was important and he led me to read Kings and Chronicles in the Old Testament and I saw the pattern. Evil kings caused the people to worship idols which brought the wrath of God upon them. Good kings removed idols and the people lived in peace and/or had victory over enemies. It was that simple. My Bible Study group started watching a series of videos on the Israelites and the Passover. I knew then that I wanted to celebrate the Passover. After all, Jesus shared a meal with his disciples (communion is a meal) and was crucified and rose again during the week long Passover and Feast of Unleavened Bread. I want to know my Lord Jesus better and God’s atoning sacrifice. As soon as I let go of participating in idolatrous holidays, God was there with something better. I attend church because I know there are individuals who I will impart my gifts to. It’s already been predetermined. I was imparted gifts by certain predetermined individuals, so I can pass it on to others who God knows. When you are using these gifts appropriately, you will sense God lifting you up and lifting up others. These gifts include teaching, giving, encouraging, etc. Freely you have received, so freely give.